The University of Melbourne will be carbon neutral before 2030, achieve zero net emissions from electricity by 2021 and will now report annually on the institution’s sustainability impact and performance. That’s according to the University’s first institution-wide Sustainability Plan 2017-2020, an ambitious four-year strategy that will position Melbourne as a sector-leader in sustainability according to Vice-Principal Administration and Finance and Chief Financial Officer, Allan Tait. The Plan also pushes for sustainability to become a more prominent part of all undergraduate curriculum, as well as outlining the University’s response to calls to divest from fossil fuel-intensive companies. On divestment, the University recognises that climate change impacts result in increased risk and potential opportunities for its investments, and that it must act to mitigate this risk. 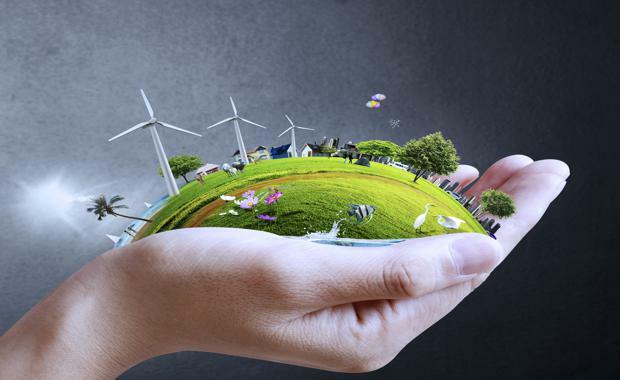 It therefore plans to establish within a year a sustainable investment framework for evaluating and managing material climate change risk, and which will set out the criteria for divestment from and investment in listed equities. This framework will as far as possible cover factors such as a company’s emissions intensity, emissions reduction plans, alignment to the outcomes of global climate change agreements and investment in and transition to renewable energy. 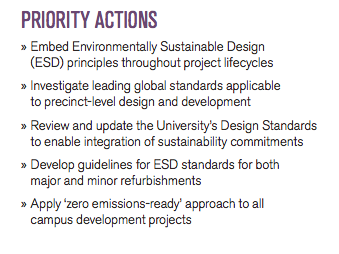 The Plan is the result of a more than 12 months of public consultation process that commenced in late 2015 with the development of the University’s Sustainability Charter. This process saw nearly 500 attendees across two events as well as hundreds of email submissions into the development of both the Plan and the Charter. While the Charter establishes the high-level principles and values the University wishes to adopt when it came to sustainability, the Plan sets out a range of clear targets and priority actions for how the institutions will meet these principles. Developing industry partnerships that emphasize our resources for sustainability research.